After last year’s intimate odyssey at Electric Elephant on the Adriatic coast, the festival returns for its 7th year from July 10th – 14th, 2014. Set near the town of Tisno, it is a celebration of music and the sun, an intimate paean to dancing the night away under a starlit sky until dawn with like-minded souls from around the world. 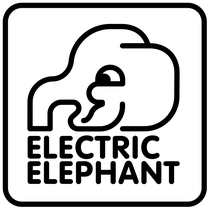 In 2014 Electric Elephant once again welcomes many fresh new names alongside some familiar faces, with more to be revealed in the New Year. The Garden Tisno is on the Dalmatian coast, with its main stage and secluded sandy bay and beach bar overlooking the crystal clear sea. During the afternoon and evening there are voyages on the Argonaughty which sets sail out across the glittering Adriatic waters, and it continues with nightly after parties at the outdoor club, Barbarella’s Discotheque, to party under the stars and see the sunrise. The site features onsite apartments and Shikar tents, whilst Tisno itself is a town with restaurants, shops, bars and accommodation options. The cities of Split and Zadar are close by, with national parks, secluded beaches and islands close by.